Two sounds for digging please! It shows the vehicles that are available at the beginning of the round and it won't change if a vic gets destroyed or whatever. It only shows how many of each vehicle spawn. Are you suggesting that this information comes for free? With out any recon? Doesn't seem realistic to have access to this information unless I am misunderstanding your point. Yes unrealistic but then again this is a game and especially as veteran I know it on most (80-90%) of the layers anyways. So it's not like it is sth totally new as it is always the same on the layer. Now think you might have not 500+ hours in the game and you are playing against experienced players. This gives you a disadvantage. And anyways tbh there might be only rare cases where this really helps but then again as it is sth that isn't changing randomly it gives some more experienced players an advantage in some cases over someone that might "only" 300-400 hours or hasnt played the layer for a longer time period. Even though quite a lot of time has past since the last event, we are eager to provide you another community content night. It will be on Sunday 17th June 2018 at 19:00 UTC the map is still to be decided on and will be announced at a later time. You will find more information in the first post of this thread and also our discord invite link. this in my eyes is just exacerbating a team loss with the selfish play of one or two squads.. its a point ive made before but why as a medic do you waste your time saving maybe 5 - 10 people which is unselfish play when players can waste 25 tickets in one go with selfish play and not have some form of penalty. Game might as well go full TDM which is how its playing out atm. How would you end up with a game imbalance with a team that looks after their vehicles? Is that not what supposed to happen and should atm ? I dont think you got what I meant. The current System is rewarding for good vic Crews that take out vics and take care of their vic. For one depending on how big the squad is there is already a light precaution matter on Hand that will activate if you lose your claimed vic or leave it behind in the battlefield within 5 mins(maybe also 8 min not sure) of claiming it was what I told you. If this is true you cannot claim another vehicle. The problem atm I see with that System is that it doesnt distinguish if it is amoured or a normal vic and that you barely realise that it exists because usually you still have claims left for your squad especially if it is 6+ people in it. My point is that the system should be changed for amoured vics so that if you lose it within the first 15-20 mins after claiming you can only get another amoured vehicle after a penalty of 15-25mins(no matter how big your squad is/how many claims you have left).as the penalty time now is 5 min and therefore less than the spawn time for amoured vehicles it barely ever gets into effect. But it would definitely prevent the same squad from wasting the assets as the other squads would have enough time (~10min) to claim it. Also I barely know anyone who would wait 25min for a vic especially if it's bad players. That's about half the time of a normal round and 1/3 of a longer round. The idea of lettong every vic spawn in at the beginning might Sound nice in the beginning but compared to a real battlefield we only play in a small area with our maps. It would neither be super realistic to have so many vics on such a small space operation with the soldiers we have nor would it really be a solution to our Problem of vic wasting. I would see it like that yes in a real battle you have all assets on hand from the beginning but what we are playing on is only a small part of the real battle area and the respawn is kind of the Support coming from other parts of the overall battle to Support us. Because tbh if you want all assets spawn in the beginning because it is realistic we would need enough man to drive them, enough soldiers to fill them and no respawns for soldiers either. As much as I like one life Events, this is still a game and nothing can be super realistic, and the server couldn't handle it anyways. And yeah maybe it would give you an better over view on how many vics you have on Hand but like it is right now(where only good players care about the vic Tickets) it will be with limited vics that new players dont care(maybe even dont know) and Start wasting the assets. That would even have an greater impact then it has now because the Bad players would waste the vics and the good players that might have died to a sneaky HAT wont have any new vic to use after that although they might have destroyed 4 enemy amoured vics and lots of infantry. My problem with the initial idea of this thread with separate Tickets for vehicles is that good vic Support would have less of an impact on the overall game than it has now, as you can't directly impact the winning or losing of your Team like you can atm. Yes the enemy might have no vic to spawn in at some point but then again we have the same problem as before in public matches you can't rely on bad players not wasting assets and the good players having no assets in the end because the bad lost all of them. 1. Reevaluate the ticket count of vehicles. The V11.1 changes made it on the one hand more easy to know how much a vic is worth. And they seem pretty balanced against the TOW and Tandem heavy at. But if you see the tickets compared to vic-vic combat a warrior should be worth far more than 25 Tickets compared to the 20 tickets of the 30mm btr. Yes with the right tactics you can take out a warrior with the 30mm but it is with no tactics super easy to take out a btr 30mm with a warrior. I know the System is definitely not finalized yet but I would give the warrior at least 30 tickets. 2. Add an Info screen like you had in PR which shows the vehicle types of both teams active on this layer and also their respected Ticket value. I mean most veteran vehicle Crews know it anyway and if you play a new or a layer you havent played for a longer time period it just helps you to know what you are up against. 3. Add proper vehicle keybindings. Like Binding the smoke to a custom key. Maybe even encooperate the System from Post scriptum and bind the coaxial gun to right mouse instead of switching to it. This may be a quality of live improvent but would help a lot with all the vehicles having smoke bound to a different number and so on. Especially with tanks and presumably more apcs coming this would really help out. Tbh I actually quiet like the System atm. I am driving quiet a lot of amoured vics. I mean the new simplefied Ticket count for vics is actually also decently easy to understand. Though I dont get how a warrior/bratley only gets 25tickets compared to a 30mm 20tickets but yeah i guess there will be tweaking on that System. The problem you describe with people wasting assets(especially if they dunno how to use them) isnt that big of a problem in my eyes. At least I barely reconize it lately. And limiting vics would lead to an even greater imbalance if one team has just far superior drivers. Suddently you Dont have amoured Support and the amoured vic has free reign. Like in the end you can really control people wasting assets. One solution would be to increased the already in place timer if you lose a vic within the first 5 minutes after climbing... Over all I would increase the penalty to 15 min to claim the next amoured vic and also increase the time for amoured vics to get that penalty to 15min as well. The current System really rewards good drivers/ATs and help them win a round in another way than just capping flags. Leaving that aside the vehicles should get a higher initial acceleration to easily fall back behind an obsticle. Also the Speed of vehicles of road is currently let's say a bit unrealistic. Mostly because of the either unrealisticly steep hills or the unrealistic speed of vehics going on those hills. tickets no ammo yes... but a lot of ammo 50 to 100 pts of ammo ..havent played it enough to judge its effectiveness especially on hilly terrain... but imo if you are getting close enough with a btr or stryker etc to get hit with TOW easily, your using vehicles incorrectly. Spawn on vehicle needs increased or limit them to 1 or two per match so they are actually looked after ..
Close enough is within 1500m(tows max range) for example on kohat. And yes there are ways how not to get hit but what I am doing on the Russian side atm is taken three guys and a logi and place a tow somewhere on a hill with eyes on radio, Malak Abad and the southern roads. Two are spotters one is on the tow. We after we shot the first wave of Bradleys we reposition and wait until the move in again. Everything with 1 50/50 logi. If we would do it with ammo I would go at least to 500-750 per rocket including the first one you usually get for free. Why? Because you need to be really bad when you aren't hitting. At least atm. Like on normal rockets you still have to judge the distance, zero it properly in. With the tow you just need to hold a cross hair onto a vehicle which my grandma could do who never had a pc. Well tow type systems are made to be easy to use and one shot vehicles its just like that in real life.Especially on flat ground terrain. No need to make it cost tickets just make it cost ammo a lot and thats that. yeah I know what they are made for and why they exist. But this is still a game and stuff should be adapted to make it more enjoyable. I know the ammo is for balancing that. But I mean you can just place it kind of close to main on a hill on certain maps and have logi runs for it. And also with one run you get 8 shots(so can easily kill 4 amoredvehics and a few infantry/+ you need just very minimal skill to use it (like in real life i know). I thought giving it tickets would balance it against the more teambased ways to take vics out... Also I mean it wasnt a really thought through I just thought it might be cool. First of all the TOW is currently quite strong against vics, what is good but also an very easy kill. So the "less" skill/teamwork based kill would give you less of an ticket advantage over the vic-vic combat or the AT infantry. Secondly it would really make you think on what to shoot it at -> shooting at infantry would definitly be no choice anymore, also depending on the tickets the lower tier vehicles. That is just an idea and I know there will be some people who are totally against it. But atm without thinking to much about it it seems like a really cool thing for me... Feel free to discuss it. I mean I am very open to critism and to the flaws of this. I did a little search on the forum here and didn't find anything about this. Therefore I am sorry if this already came up. I drive quite a lot of vehicles and there is sth that really bugs me: The key bindings. One thing is that if you are gunner in a vehicle the smokes is either on 2,3,4 depending on the vehicle. This makes it really hard to quickly reach for the appropriate key in a combat situation. And I am very sure every gunner in the real world knows exactly which key to press to pop Smokes. And this stays consistent with all vehicles. If they don't have one of those it stays empty like if a kit doesn't have a pistol. Just to keep in mind with tanks coming, it might really add to the playability. 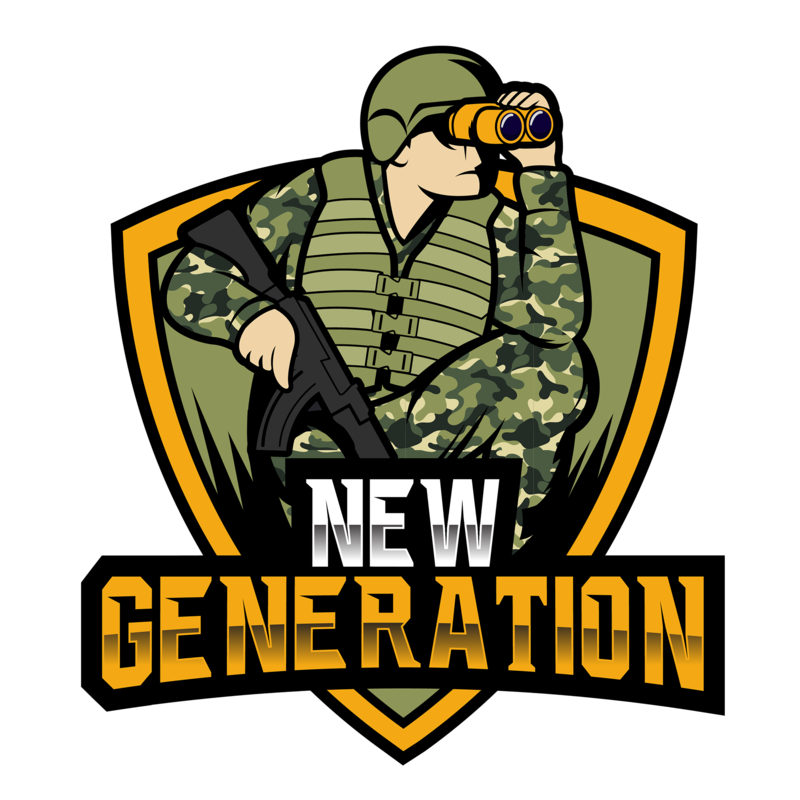 New Generation are happy to announce the launch of our public custom server! Any questions or suggestions for future content? After a long time I started playing Squad with V10 again. While I am still missing my helicopter (especially an attacking one) I really like the state of the game compared to it about 1 year ago. Ok the new movement system sometimes really bugs me especially as there is no weapons resting(which in my case would really fix the system). No to my real point. The passing of mag+ maybe bandages. There are often times(especially when you survive for a longer time) when you only got orange/red mags left and need to run a far way to get new ammo (or my preferred way as the penalty for dying is so low, get aggressive->die->respawn) an easy way to combat that is to make it possible to get mags from your squad mate with the same ammo/magtype. In return that guy gets an empty mag. Another thing I find really stupid is when you can't revive someone who is on the ground although he still got 2 bandages himself. As the topic states, i want to talk about key-combinations. As I use a Laptop to Play Squad I have a few Problems finding enough easy accessable Keys, as I don't have a Num-Pad. Especially the additional channels for Squadleaders are difficult to assign to a specific Key. In Project Reality I could use combinations for them. Would be great to see it in Squad to. Might be not high prioity but hopefully we will get it.